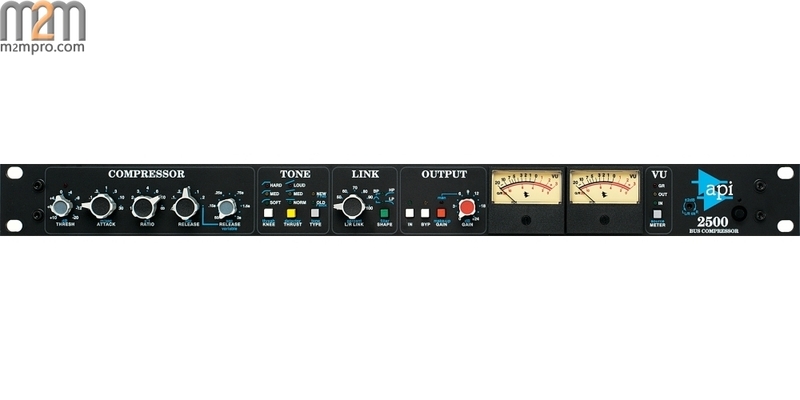 The API 2500 Stereo Bus Compressor allows adjustment of sonic qualities to alter the punch and tone of the stereo mix. 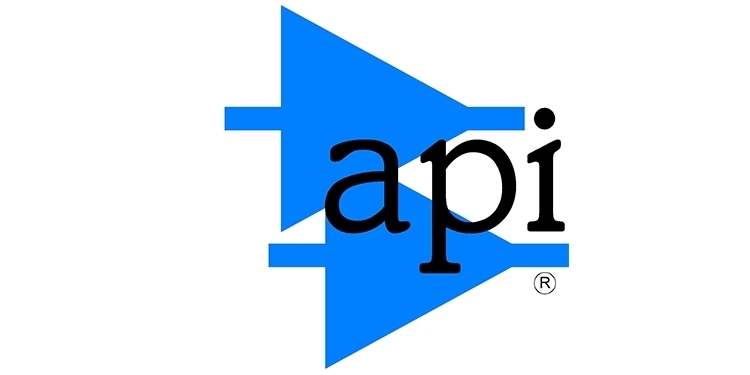 One of the 2500's notable qualities is its use of API's patented THRUST circuit for a chest-hitting, punchy bottom end. 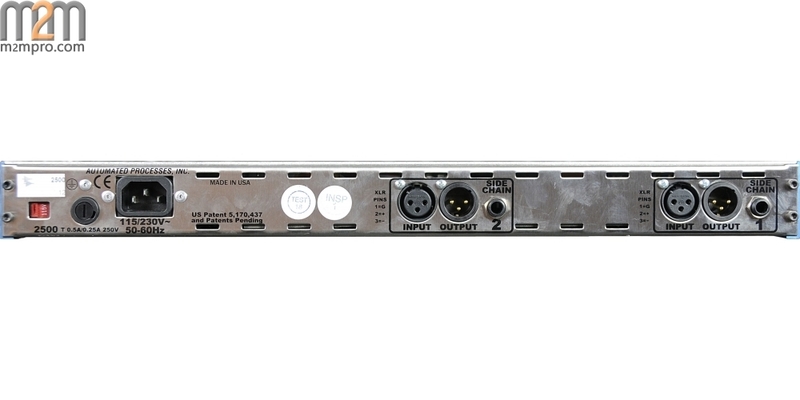 The 19-inch, rack-mountable unit boasts a dual-channel design that can be configured for stereo compression or for use as two separate units via a single compression setting. Another unique feature of the 2500 is its selectable "old" or "new" compression. The old style uses the "feed back" type of compression found in the API 525, while the new style uses a "feed forward" type in which the compressor side chain is fed directly from the unit input. Additionally, the output stage exhibits an auto-makeup gain button that permits the user to vary the threshold or ratio while automatically maintaining a constant output level. Further, the 2500 ensures fidelity with its all-discrete, fully balanced design with two front panel VU meters showing input, output and gain reduction levels.